Overwhelmed by all of the marketing tools out there? Quickly learn the hottest tools for your online business today! When you’re trying to start an online business, all of your options can be overwhelming. There are so many different types of tools and so many options for all those types. Whether you’re trying to figure out what mailing list autoresponder to use or you’re looking to start an affiliate program for your products, there’s a lot to consider and that’s why we’ve done all the research and created this report for you. 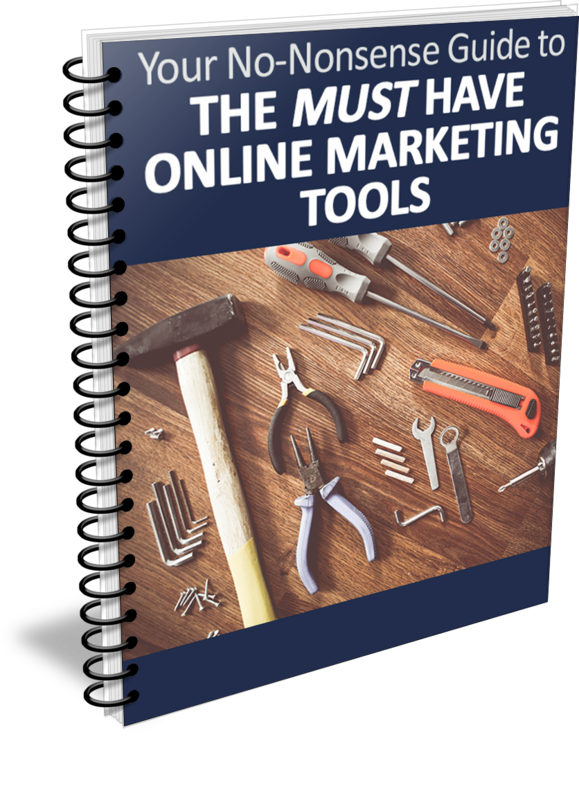 This report will guide you through all of the many options and features available for the must have online marketing tools. Learn the must have marketing tools for your online business. Grab this guide now. Your privacy is protected and your email address will only be used by FreeIMStuff.com to communicate with you about Internet Marketing related subjects. You can cancel your subscription at anytime. If you are ready to get your online business started using the best tools, then grab this free guide right now. Just enter your first name and email address above and get the help you need to get started.